This technology into use in 1970 beginning with the use of microprocessors for communication technology. And in 1971, opened the first mobile phone network in Finland called ARP. Following NMT in Scandinavia in 1981 and AMPS in 1983. The use of analog technology in the first generation causes many limitations such as traffic capacity is small, the number of customers that can fit in a little cell, and a wasteful use of the frequency spectrum. On the other hand, the increasing number of customers can not be accommodated first generation. In addition, technology can only serve 1G voice communications, unlike 2G can be used for SMS. NMT or Nordic Mobile Telephone is the analog mobile phone network that was first used internationally in Northern Europe. These networks operate at 450 MHz so it is often called the NMT-450, there is also NMT-900 operating at 900 MHz. Given the market demands and the need for better quality, was born the second generation technology, or 2G. This generation is already using digital technology. Other 2G technologies are IS-95 CDMA, IS-136 TDMA and PDC. The second generation is also used for voice communication, also for SMS and data transfer speeds of 9600 bps (bits per second). For comparison, the modem is widely used for high-speed internet connection 56 000 bps (5.6 kbps). Advantages compared to 1G 2G services in addition to a better, in terms of capacity is also greater. Due to the 2G, the frequency can be used multiple customers using the mechanism of Time Division Multiple Access (TDMA). 2G technology standards of the most widely used today is a GSM (Global System for Mobile Communication), as used by most mobile phones today. GSM operates at frequencies 900, 1800 and 1900 MHz. GSM also supports 14.4 kbps speed data communications. GSM history begins with a conference of postal and telegraph in Europe in 1982. The conference formed a study group called Groupe Special Mobile (GSM) to study and develop a system of public communication in Europe. In 1989, this task is left to the European Telecommunication Standards Institute (ETSI) and the GSM Phase I was launched in mid 1991. In 1993, there were 36 GSM networks in 22 countries. Uniqueness compared to the first-generation GSM SMS is a service. 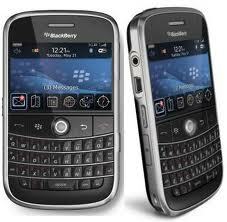 SMS or Short Message Service is a bidirectional service for sending short messages of 160 characters. GSM is currently used has entered phase two. After 2G, 2.5 G was born generation which is a better version of the second generation. 2.5 This generation has the ability to transfer data faster. The best known of these is the generation GPRS (General Packet Radio Service) and EDGE. More recently, the trend of mobile communications began switching to the next generation is predicted to be a promising technology of cellular communication. Third generation or 3G is the latest technology in the cellular world. This generation is better known as UMTS (Universal Mobile Telecommunication System) or WCDMA (Wideband - Coded Division Multiple Access). Excess generation is located in the data transfer speed up to 384 kbps outdoors and 2 Mbps for indoor applications. In addition, this generation can provide multimedia services such as internet, video streaming, video telephony, and others better. This third generation CDMA technology that originally came from the United States military technology and devoted to the IS-95 standard. Several patents on networks that exist today are based on CDMA technology owned by Qualcomm Inc., So that equipment makers pay royalties. CDMA technology to make the capacity of a cell becomes larger than the GSM system because of the CDMA system, each call communication has certain codes allowing many customers to use the same source without the occurrence of radio interference and cross talk. Radio source in this case is the frequency and time slots are provided for each cell. CDMA-based wireless communications system was first used in 1995 and until now, CDMA is the main rival of the GSM system in many countries. In 1999, the International Telecommunication Union (ITU) chose CDMA as technology standard for third generation (3G). CDMA is widely used variant is WCDMA and TD-SCDMA. In May 2001 there were already 35 million CDMA subscribers worldwide. And in 2003, there were 100 million subscribers using CDMA worldwide. The main advantages are owned by the third generation of fast data transfer capability or have a high bit rate. The high bit rates have caused many CDMA operators can provide a variety of multimedia applications better and varied, and the main attraction for customers. Just imagine, just with a phone, we have the facility of camera, video, computer, stereo and radio. In addition, a variety of entertainment can be enjoyed such as video clips, the traffic in real time, teleconference, even just to book a place at the restaurant, simply by pressing the button on the phone. When we sit at home too, we can still do many things without having to leave the room, such as checking bank balances, pay college tuition for the children, ordering food and others. That's all it is not impossible for the third generation. In the long run, CDMA and other technologies such as GSM will be compared based on the total cost per customer of the network infrastructure and 3G telefon.Dengan plane fares, cheap and quality of communication rather than wishful thinking. Mobile so popular today, even started a few years ago, Mobile or Mobile seemed to have been a staple Indonesian society, willing to trade vegetables, garbage, until a member of the House do not miss use the facility 10 years ago in regard wah, or luxury goods. In addition to the things I mentioned above, the mobile is now a staple of Indonesian people in because it is also because the price is Cheap, Cheap Hp many outstanding with a fairly sophisticated quality. But do you know the early history of Hp exists? Here is a piece of history in Mobile or the usual brief Hp in Indonesia. History of cell phones as we know it or HP, it has been there from the colonial era, which is approximately 1947 in the country uncle sam and the European Amrik alias there. In 1910 the forerunner of a cellular phone that was discovered by Lars Magnus Ericsson, who is the founder of the company Ericsson is now known by the company Sony Ericsson. At first, the Swedish company Ericsson medirikan focus on perlaan telegraph business, and his company is not too big at that time. In 1921 the first time Detroit Michigan Police Department uses mobile teleopn installed in all police cars using freuensi 2 MHz. In 1960, at a company called Fennis Finnish Cable Works originally in the field of cable business, do ekspensi by establishing an electronic company named Nokia as a mobile phone handset. In the 1970s a rapid development of mobile phones to be dominated by three large companies in Europe with a company that Nokia and its rerusahaan Mototola. In 1969, commercial cellular telecommunications system. After 1970, mobile telecommunications are increasingly being talked about. Motorola introduces mobile phone three years later. Its size is quite large with a short antenna. There is also a phone with the size of a suitcase. Dr. Cooper is the project manager of Motorola's innovations that set the base station in New York. For this project to work with Bell Labs Motorola. This invention is claimed as the invention of mobile phones as well as the first. On the morning of 3 April 1973, Cooper, when it served as general manager of the Communication Systems Division Motorola demonstrated a strange way of communicating portable telephone terminal. She tried to phone 'giant' while walking in various locations in New York. That was when first shown and used cell phones in public.